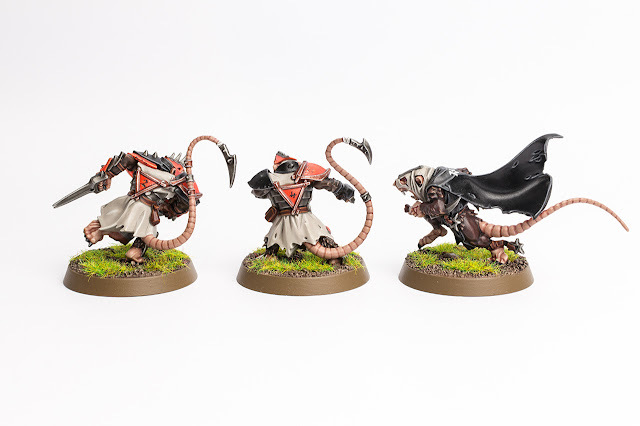 Here we have three more models for my small but growing Skaven Blood Bowl team – the Scurvy Scurriers (thanks Daniel for the name :). 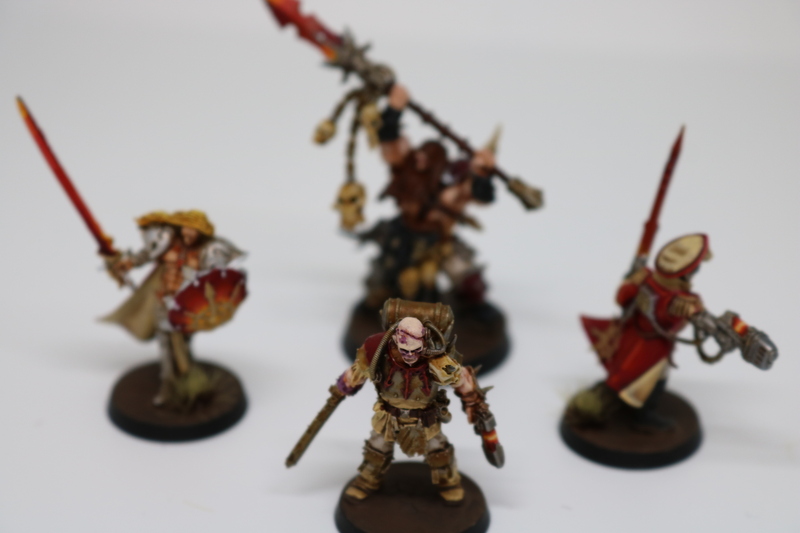 Check out more pictures, including a group shot of all models I painted so far, after the jump. 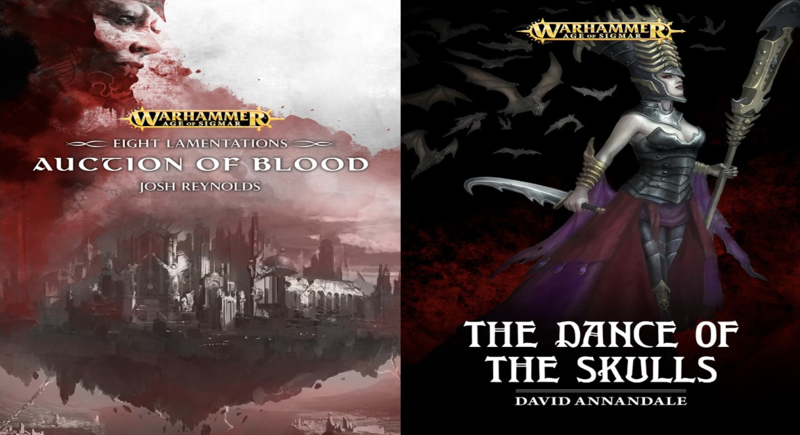 It's fun painting some Skaven models again (long-time readers know I used to have a Fantasy Skaven army that I sold a while ago). Layering and highlighting those tails is time-consuming and quite repetitive though, which is why this team is an in-between project, sneaking in a batch of two or three models here and there. These are all players so far. 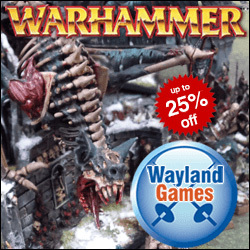 I'm aiming for a full strength 16 players team, including the models from the Forge World booster pack and a converted plastic Island of Blood Rat Ogre. I'm aiming to have this project complete until the end of the year, so stay tuned! 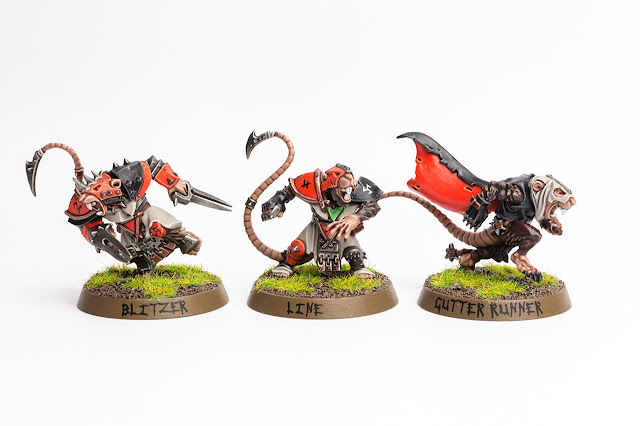 How do you like them and have you painted some Skaven Blood Bowl models as well? The Scurvy Scurriers look great mate. I love how all the soft beige-like colours blend together and work together which then means the blacks and the reds really 'pop' and stand out. 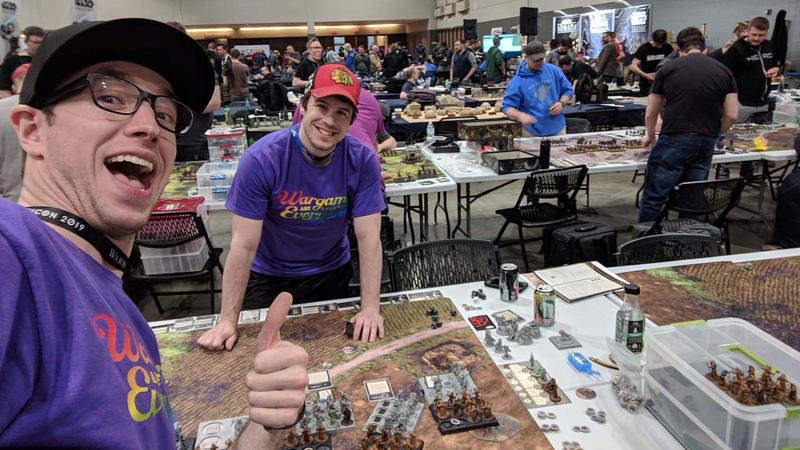 Green grass is iconic for skaven teams? What about "official" pitch?